Lightning return to winning ways, putting in a dominant performance at home against 4th place Wasps. The final score came to 28–10, and the result reflected the clinical nature of the home side. The tempo of the game was set straight away by Lightning, with Hunter leading from the front, scoring in the 3rd minute of the game. 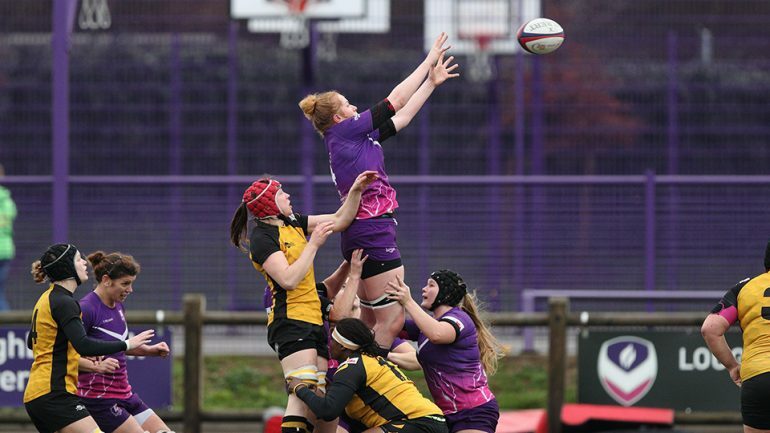 It was then Wasps turn to put on the pressure as they camped on the Lightning 22 before slotting a penalty kick and getting on the score board. Back on the attacking foot and gaining good momentum Lightning struck once more through the forward pack, Hunter claiming her second of the game and extending their lead at half time to 14-3. With ball in hand Lightning’s backs looked dangerous, striking out wide. It was one such attack that led to their third try of the game, with Brown crossing the white wash and Daley-Mclean converting. With 15 minutes to spare Lightning clinched their bonus point try. A fantastic driving maul smashed through the Wasps defence allowing Bartlett to dot down, giving Daley-Mclean an easy conversion. The final score however was to go to the visiting side, who after a prolonged period of attacking pressure managed to cross the try line. With the try came the final whistle, seeing Lightning secure a 28-10 win over Wasps. Lightning will be in action next week when they travel south to take on Harlequins at Surrey Sports Park on the 8th December.